Yes, we have Ikea in the house. 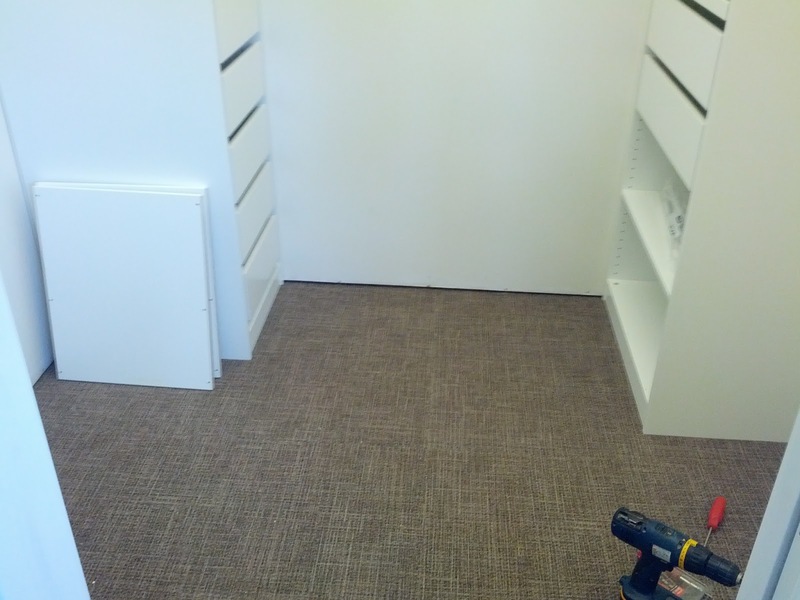 Here are the wardrobes in the newly carpeted closet. Starting to feel almost inhabitable. 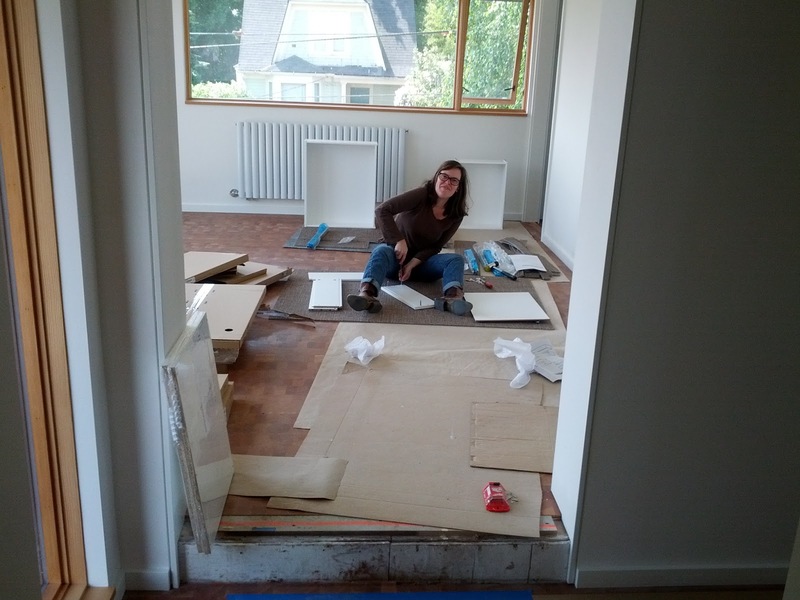 Here Lisa goes into production mode on the drawer assembly.